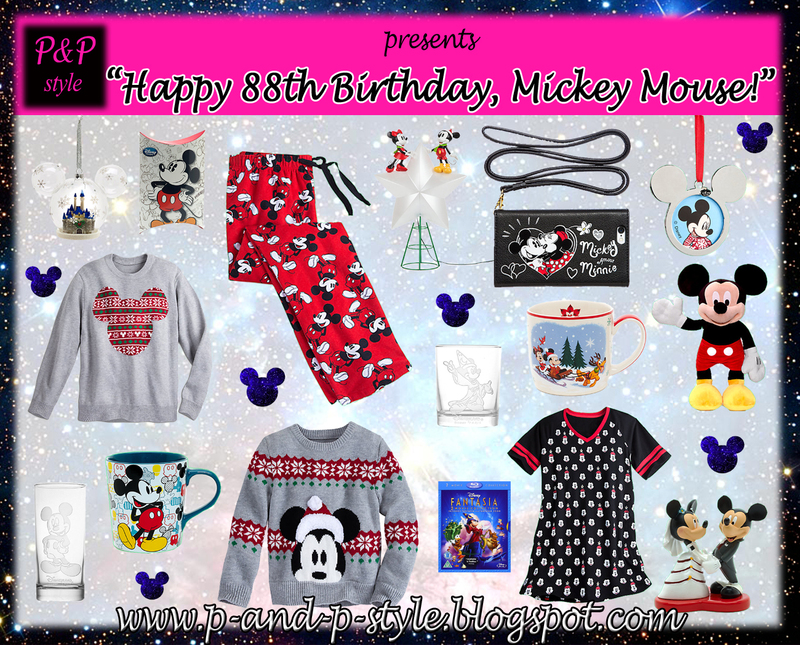 P & P style: Happy birthday, Mickey Mouse! 88 years ago a little mouse was brought into being. A lovely animal, the official mascot of The Walt Disney Company, the first cartoon character with his own star on the Hollywood Walk of Fame. Walt Disney and Ub Iwerks created Mickey Mouse in 1928 and his career is still undiminished. Today, on November 18 we celebrate his birthday. It’s Mickey Mouse Day. With his red shorts, large yellow shoes and white gloves you can find Mickey Mouse almost everywhere. On clothes, shoes, accessories, kitchen supplies, pillow cases, carpets, the list goes on. Have you heard about this „special” birthday? Do you have something in your home, in your closet that has a Mickey Mouse print on it? Or maybe Minnie Mouse or Pluto? As always, please feel free to leave a comment below. ZAFUL GIVEAWAY in my blog (10 winner will be chosen to win $100 gift card). This is such a cute fun fact. Thanks for sharing, girl! By the way, I am inviting you to join my Zaful $100 Coupon giveaway. Wow I didn't know it was so long ago. I love anything Mickey Mouse print. I am addicted to Mickey!